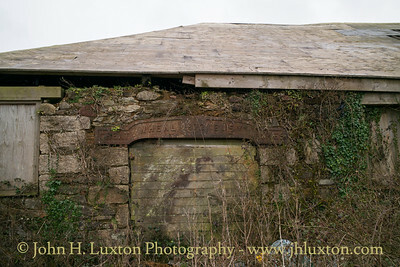 The mine workshop and smithy building features lintels cast by the Perran Foundry in 1872. 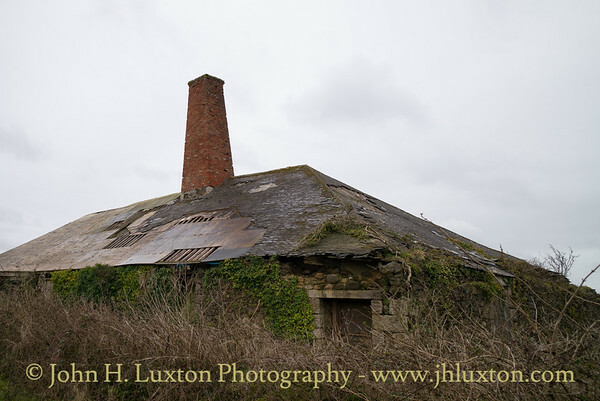 Unfortunately, this very interesting building has not yet been restored. 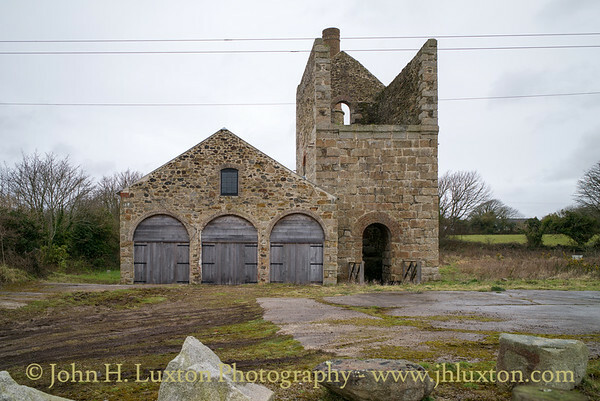 The boiler house and engine house as restored in 2015. 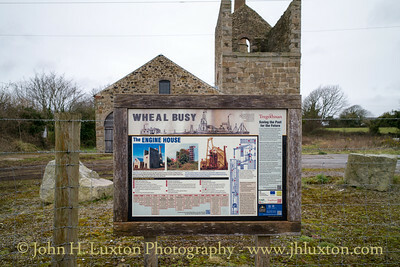 Interpretation board at Wheal Busy. 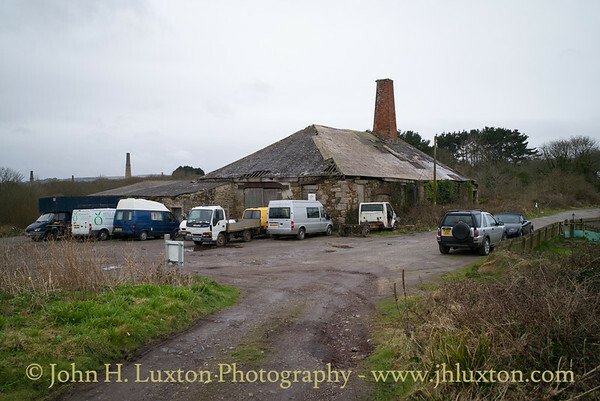 The land around the restored boiler and engine house is closed to the public with some of the land being used for apiculture with a number of hives present. 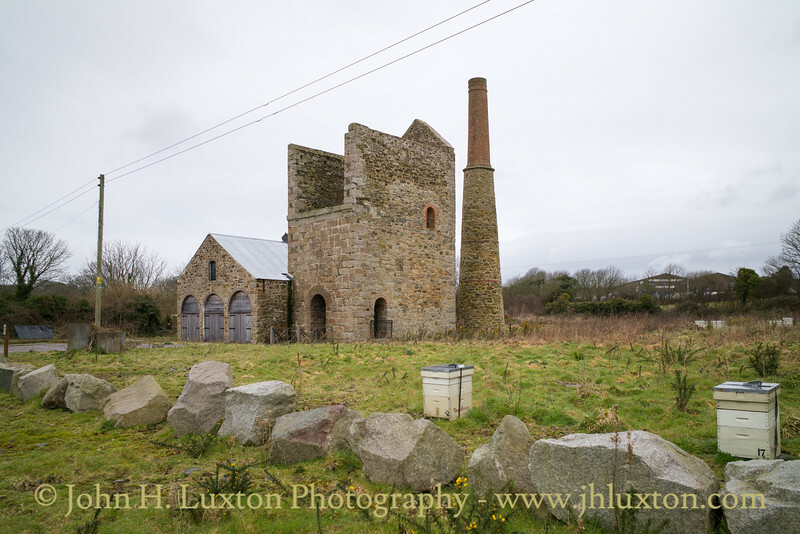 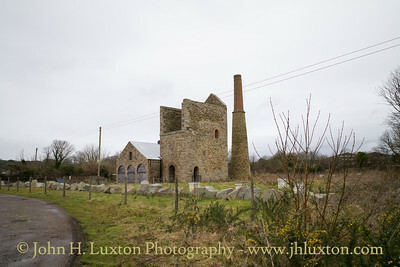 The Wheal Busy mine is on land owned by the Tregothnan Estate. 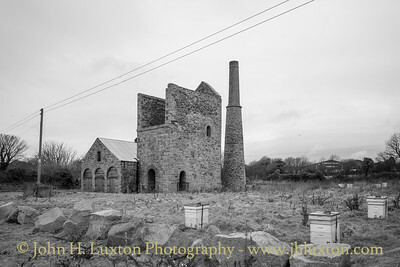 The land around the restored boiler and engine house is closed to the public with some of the land being used for apiculture with a number of hives present. 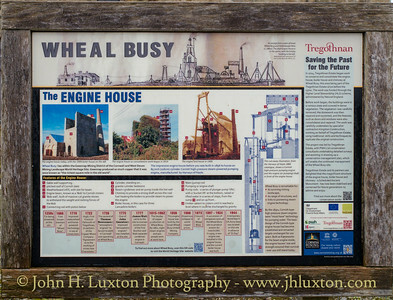 The Wheal Busy mine is on land owned by the Tregothnan Estate. 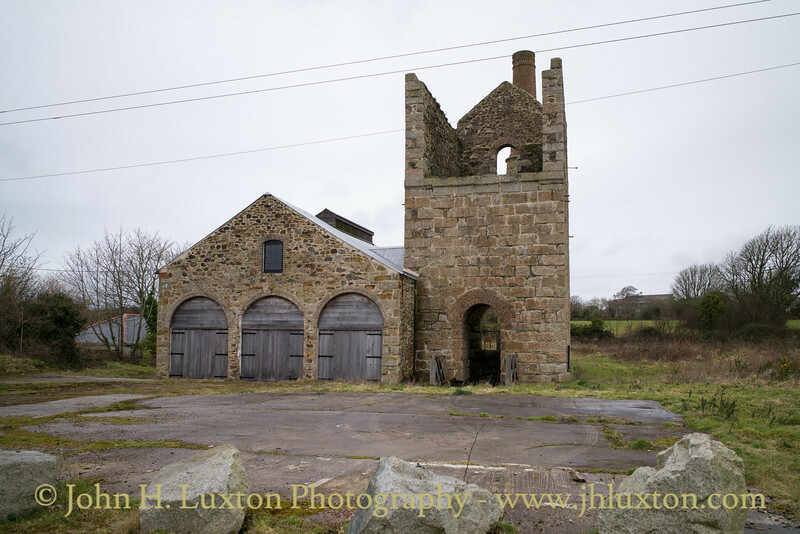 The engine house accommodated a 85" Harvey of Hayle beam engine which was broken up just after WWII. 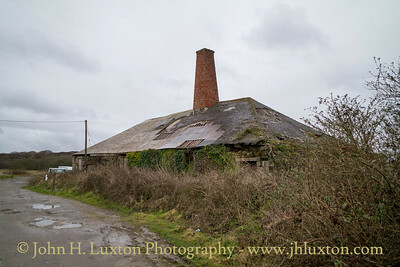 Prior to D-Day a number of american troops billeted in the area reputedly managed to steam the engine.